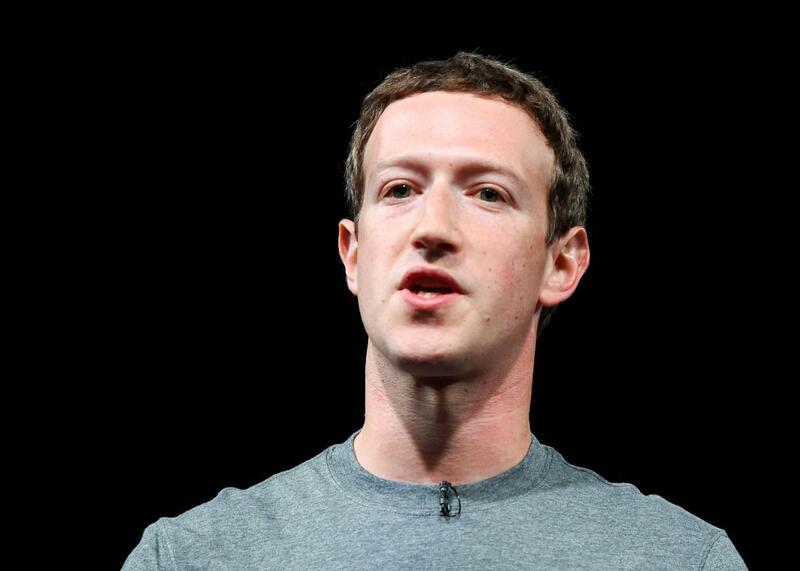 The problem with Mark Zuckerberg’s new Facebook manifesto: It isn’t political enough. Facebook’s New “Manifesto” Is Political. Mark Zuckerberg Just Won’t Admit It. What is Facebook? It’s a question that seems like it ought to become easier to answer over time. Instead, it has become more difficult. CEO Mark Zuckerberg’s latest and most lengthy attempt to define the service that he created—a 6,000-word open letter to the Facebook “community”—instead underscores just how murky its purpose and agenda have become. When Zuckerberg founded Facebook in 2004, the concept was simple. It was a social network in the classic sense: a place to post a personal profile, connect to other people’s profiles, and interact with them online. Over the years, the news feed evolved from metaphorical to literal as Facebook became the dominant online platform for reading and sharing news, opinion, and other content from around the wider web. It turned out that online friend networks were a singularly potent way for ideas to spread. The downsides of this arrangement emerged more gradually. But the 2016 U.S. presidential election, in which Facebook served as a vector for fake news and sensationalism and a force for ideological polarization, helped to distil them. That, and a series of more or less related controversies in the United States and elsewhere, prompted founder and CEO Mark Zuckerberg to embark on a countrywide listening tour that many interpreted as a signal that he planned to one day run for office. Read the letter and you’ll see why critics have accused it of using a lot of words while saying rather little. Jargon is rife; specifics are scarce. Still, a careful read reveals a lot about how Zuckerberg views the site he created and how he hopes it will evolve. It’s been obvious for some time now that Facebook is much more than a social network. But just what it is—a media company? A tech company? A utility?—has become a matter of debate. Zuckerberg never explicitly defines “social infrastructure,” despite deploying the phrase 15 times—an oversight typical of his unrigorous armchair philosophizing. You could be forgiven for concluding that it doesn’t really mean anything, except that Facebook has found a clever new way to answer the question of what it is without making any particular commitments. But we can glean a little more than that if we try. By choosing “infrastructure” as the noun, Zuckerberg shows that he still views Facebook as a technology—a set of tools—rather than a media company responsible for creating or curating published content. This is consistent with Facebook’s past attempts to define itself, including that widely mocked 2012 TV ad in which the company compared itself to chairs. It implies that Facebook will continue to shun political controversy and disclaim responsibility for the content that its users post and share, at least in cases where doing so would run counter to the company’s interests. On the other hand, Zuckerberg’s manifesto makes it clear that he no longer views Facebook as fully neutral. He recognizes—at last?—that his technology molds how its billion-plus users read, communicate, organize themselves, and form ideas about themselves and the world. And he no longer views openness and connectedness as ends in themselves. “Social infrastructure,” then, must mean something different from mere “communications infrastructure.” It means that Facebook sees its purpose as facilitating certain kinds of interactions and social arrangements. Namely, Zuckerberg sees Facebook’s purpose as building communities with five particular characteristics: supportive, safe, informed, civically engaged, and inclusive. Zuckerberg also states repeatedly that he wants to build a community that is “global.” As the New York Times’ Mike Isaac notes, this places Facebook in surprisingly explicit opposition to the tides of nationalism and isolationism that have swept the likes of Donald Trump and Theresa May into power. That pointed exception aside, Zuckerberg’s goals for Facebook’s communities sound relatively anodyne. Who but a misanthrope could dispute the value of safety, civic engagement, or inclusion? The rub, however, is essentially the same as it has always been with Zuckerberg: He’s trying to have it both ways. He wants Facebook to play a more active role in shaping conversations and communities for the better. Yet he still wants to call it infrastructure. Sure, infrastructure can shape conversations and communities. Highways, irrigation systems, cellular data service: They all affect how societies organize themselves, in one way or another. But the key questions of how and where to deploy infrastructure, for whose benefit and at what cost, are inherently political. A highway that makes some people feel included can leave others feeling isolated. An irrigation system can secure one community’s water supply while depriving another. And a Facebook post that makes some people feel civically engaged could make others feel unsafe. In all cases, there are tradeoffs—a concept Facebook and Zuckerberg have always been loath to acknowledge. The manifesto does provide some clues as to how Facebook will adjudicate conflicting claims among its users. It states that Facebook will “try to reflect the cultural norms of our community,” while also giving individual users the power to control their own experience, where possible. Those are both fine principles. But implementing them will necessarily involve a level of political decision-making on Facebook’s part that Zuckerberg’s letter does not fully reckon with. Making the world more open and connected was a radical idea, and a substantive one—and, ultimately, a dangerous one. On one level, it implied a strong bias toward freedom of expression and against provincialism and repression. At the same time, it implied that it was none of Facebook’s business exactly what kinds of ideas and speech flourished on its platform. Paradoxically, then, a bias toward freedom of expression could conceivably end up empowering those who would quash it. Facebook’s new manifesto is either far less radical or far less substantive than its famous mission statement, depending on how you read it—but not necessarily any less dangerous. If, as some critics allege, it’s largely pablum designed to appease the company’s collective conscience without committing it to any particular ideals, then it’s less substantive. On the other hand, if it’s really about strengthening distinct communities and upholding existing cultural norms, it’s substantive, but also deeply conservative. It implies, for instance, a bias in favor of free speech and against repression only in cultural contexts where those biases are already present. That’s not making the world a better place. It’s entrenching the status quo. To be clear: Zuckerberg and Facebook thinking seriously about their impact on the world is a good thing. Technology is at its most dangerous when it is created thoughtlessly, for its own sake or for the sake of profit. It’s at its most manageable when its political agenda is transparent and explicit, because then it can be openly debated, supported, or opposed. Zuckerberg’s manifesto makes it clear that he does care about Facebook’s role in society. Yet as a statement of values, it is compromised by the undefined jargon, the unacknowledged conflicts, and the uncritical optimism about Facebook’s ability to meet the needs and desires of all of its users at once. I’ve argued before, in a different context, that Facebook is biased, and it needs to admit it. This manifesto might seem like a step in that direction. But it doesn’t go nearly far enough.